This month we have included two wines from Chateau Barouillet, brand new to the United States and to the shop! Bergerac errantly gets lumped together with Bordeaux because of its proximity and some crossover in varieties planted. 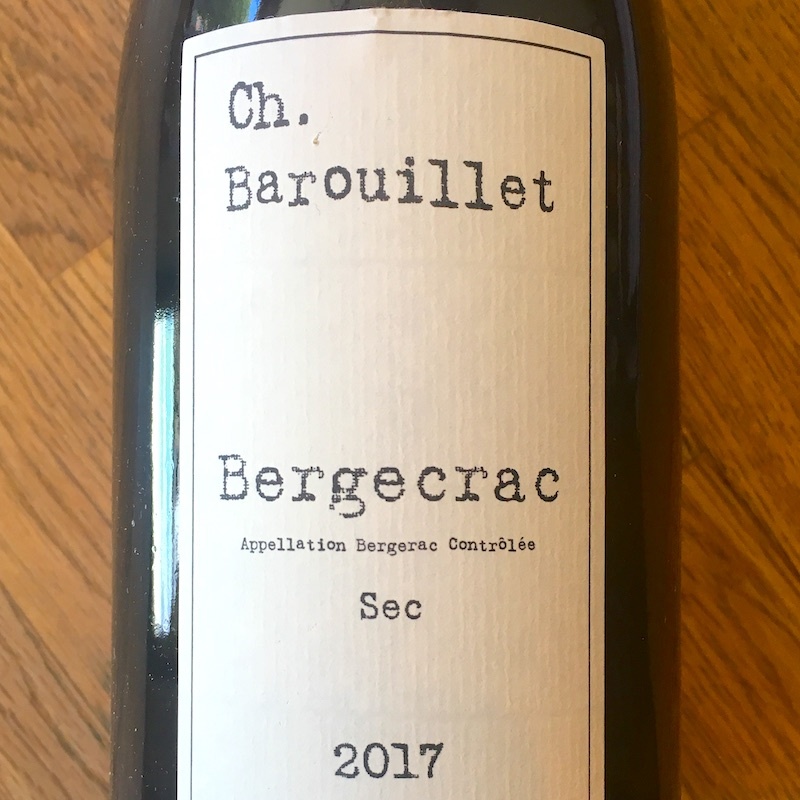 For those who ended up with last month's Bordeaux Blanc, this wine hopefully help illuminate the contrasts between the two southwestern French appellations. Here we have a dry blend of both sauvignons, sémillon, and chenin, farmed organically from limestone dominant soils chosen specifically for making dry wine. (Vigneron Vincent Alexis makes excellent traditional sweet Bergerac, along a pet nat, both of which we currently have in stock.) Slow, temperature-controlled, native yeast fermentation, minimal intervention, and bottling unfiltered without any additions other than a homeopathic amount of SO2, this is about as fresh and raw as it gets. The French have taken to the adjective "cracquant" (crackling) to describe wines like this, thus the name. We think you'll agree this wine is like crack. Guzzle as an apéro, or with tinned or smoked fish. The red blend includes the typical suspects in this corner of France, merlot, malbec, cabernet sauvignon, and cabernet franc. It is substantial in body and carries its earthy funky nose well, with plenty of stony body and grip. Try with anything on the grill, from burgers to pork chops. 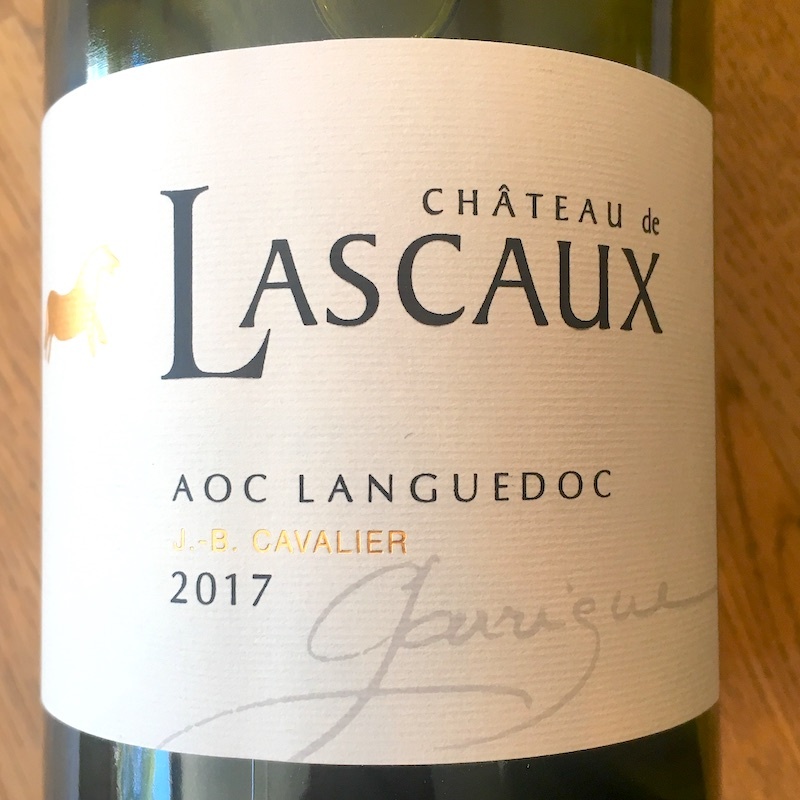 Château de Lascaux has been in the Chevalier family for a mere thirteen generations, but it wasn't until the early 80's that current steward Jean Benoit gave the newly consolidated estate its name. Lascaux refers to the specific type of limestone the estate’s vines are planted on, nestled in the foothills of the Cévennes, a small mountain chain that helps distinguish the Pic Saint Loup appellation, in the eastern part of the Languedoc. 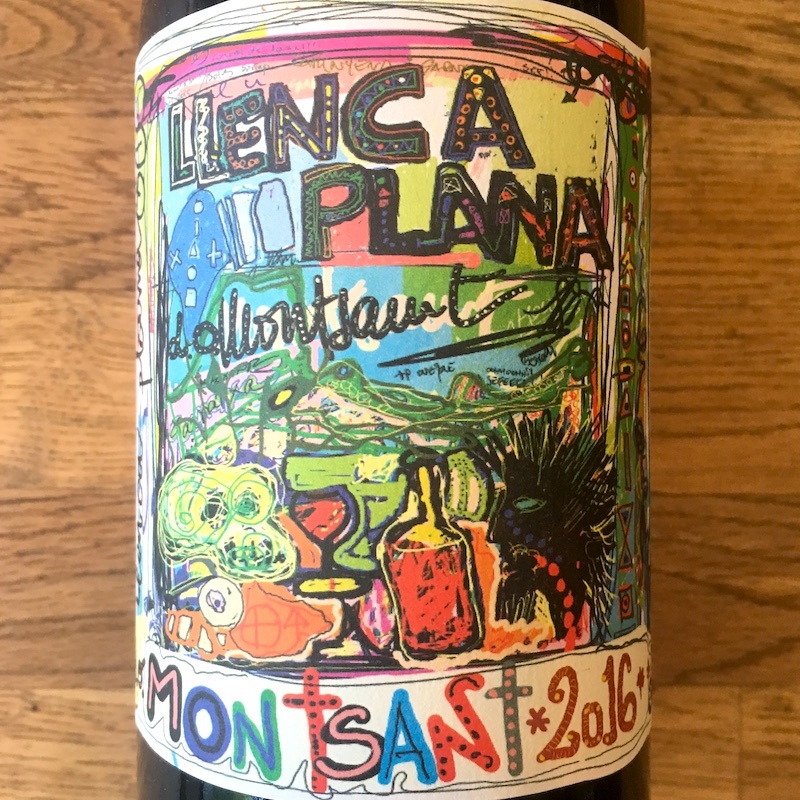 The mountains protect the area from "Le Mistral", the constant southerly wind, and capture more rain in what is an otherwise parched area, making a perfect microclimate for growing wine grapes. A typical southwestern white field blend, this spicy, fleshy white has plenty of snap to pair with big fish dishes or roasted chicken over potatoes. The Benvenuti family’s estate is situated in the quiet Istrian village of Kaldir on the Istrian peninsula in northern Croatia, where they grow three grape varieties– malvasia istriana, teran and muscat. The soil here is heavy with white limestone, yielding fresh wines with plenty of mineral character. Their terraced vineyards snare the breezes that blow up from the Adriatic, lining the wines with fresh acidity and salinity. 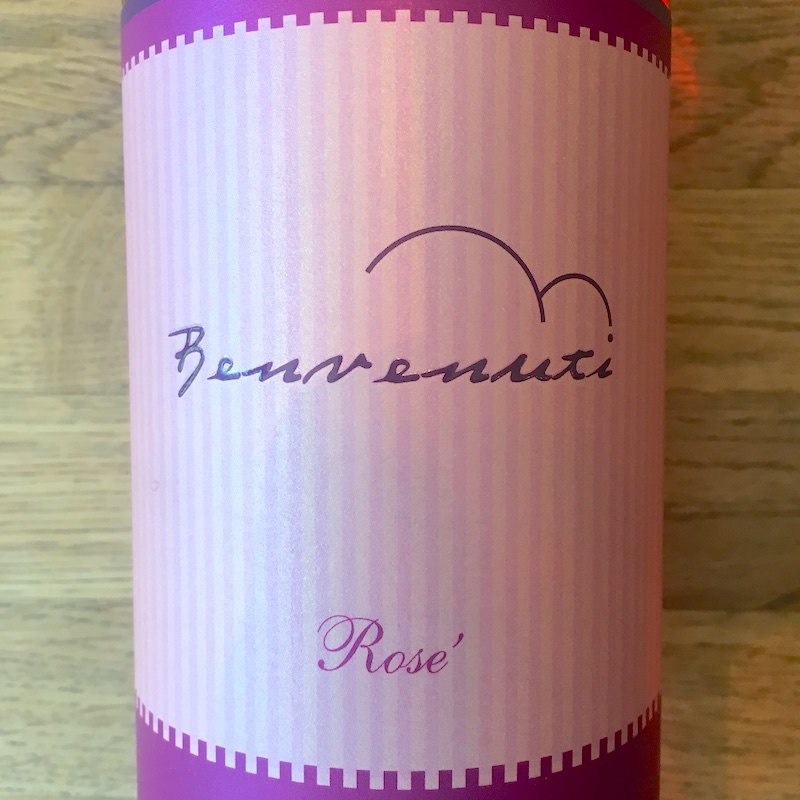 This rosé of teran is loaded with bright raspberry and citrus notes and would be a great compliment to the char of a grill, great alongside anything from grilled zucchini to grilled halloumi with romesco. 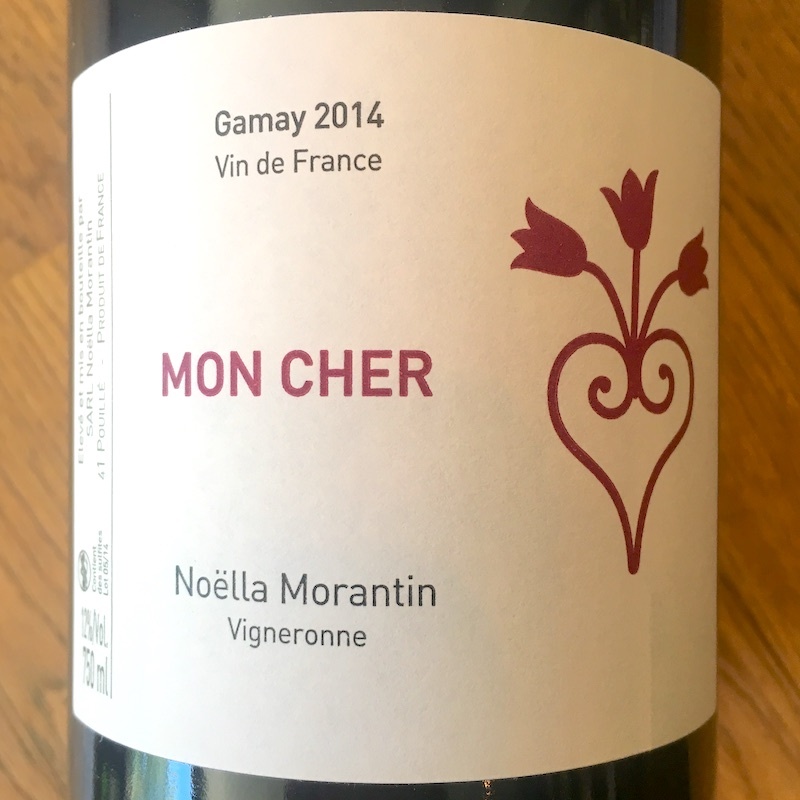 2014 Noëlla Morantin "Mon Cher"
A transplant from Brittany, Noëlla Morantin has been making wines in the central Loire Valley for the past 15 years, first studying under natural wine greats Agnès and René Mosse. A decade ago she was fortunate to acquire several parcels to build her estate from a then recently defunct natural wine project, Les Bois Lucas, where she had worked overseeing the estate. She now tends several hectares planted to sauvignon blanc, gamay, côt and cabernet sauvignon -- all certified organic since 2008. Her winemaking style is very much hands-off, with little or no intervention, favoring slow natural fermentations which she does in large old wooden vats. This cuvée is 100% gamay, macerated carbonically to keep the tannins low and the fruit bruit and juicy. Expect an appealing amount of funk on this light-bodied red, perfect for pairing with bright young goat’s milk cheeses and farmhouse-style salamis.